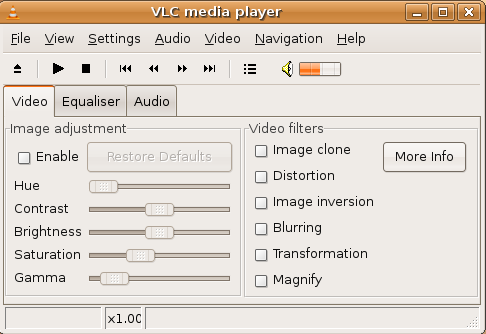 Sponsored Link The VLC media player is an open source media player, distributed under the GNU General Public License. It is a highly portable multimedia player that supports many audio and video codecs and file formats as well as DVDs, VCDs and various streaming protocols. It is able to stream over networks and to transcode multimedia files and save them into various different formats. I prefer the MPlayer media player. It preforms better in a lot of cases and it does not use as much resources as VLC tends to do from time to time. There is no play list in MPlayer, but that can be folder managed. I love VLC on Linux or Windows. Seems fast enough in most cases. Used this document and it worked fine for me. I am just struggling now with my sound card that does not seem to be working. No sound is associated to the movie I am reading. I have found the player to be wonderful, but the skins are giving me trouble. The player itself was an instant fix to several issues I had with my media files when I finally left the wondoze environment behind. its a nice info i used it and got the player installed…. 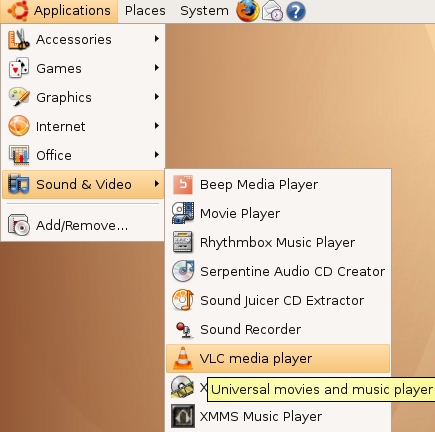 How can I obtain VLC Media Player for Ubunto if the machine running Linux dosn’t have internet access? I’m a newbe to Ubuntu and I would like to download a video player. 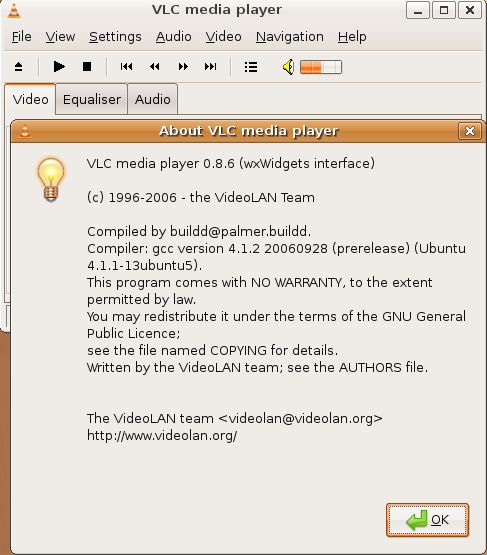 I would like to “Install VLC Media Player in Ubuntu” BUT I’m not online and will only pick-up software thro’ public access/internet cafe Windows PCs. Can I find somewhere to download the player (with install details)? No your site send me round in circles! i tried and it worked f9 for me…. Thanks a lot. This article was really informative. ok im new to ubuntu and i have no idea how to install anything. can some one PLEASE give a step by step tutorial on how to do so? The easiest way to install VLC is to do it by the repository. Install VLC, VLC-nox, VLC-plugin-esd, and VLC-plugin-pulse. The dependencies will install automatically. Everyone says this by assuming everyone have access to internet at all the time. Its wrong. I want to download VLC as a .deb file from a place which has internet connection and install it in my home machine. Mentioned method is useless for me. You could get, or not, problems with dependencies. If so, write down the files missing, and go back to the above link to get them. My ubuntu cant access the net, how do i install apps without an internet connection. how do i download programs elsewhere and install them in my ubuntu? I just installed Xubuntu (Itrepid Ibex) on an old Compaq a few days ago and the media player it came with doesn’t play any of my old music or vid files (MP3 & AVI). I have used VLC as a portable app on my flash drive before and would like to install it on my computer without using the net. I would be installing it off my flashdrive or a CD, so if someone could post a strp by step walkthrough on how to do that it would be great. Thanx! i don`t have any word to say ……………. Get each .deb file VLC from here.. [Remember download only that which suits your processor]. ’m a newbe to Ubuntu and I would like to download a video player. I would like to “Install VLC Media Player in Ubuntu” BUT I’m not online and will only pick-up software thro’ public access/internet cafe Windows PCs. but it will show me the error..
how can i obtain setup file for vlc for future use when internet connection is not avilable? So in this case what am i supposed to do? Can u please suggest admin?